(New York, NY) – Razor & Tie is set to release the first two Emerson, Lake & Palmer re-issues of the band’s first two albums: Emerson, Lake & Palmer (1970 – Studio Album) and Tarkus (1971 – Studio Album) on September 25th. Both records will be available as 3-disc deluxe editions containing never before released 5.1 Surround Sound and Stereo Mixes, including previously unheard out-takes. Three time Grammy-nominated producer and engineer Steven Wilson (who has also recently remixed classic albums by Jethro Tull and King Crimson for acclaimed 40th anniversary editions) worked from the original Greg Lake produced multi-track tapes to remix both albums. Fans can also purchase Emerson, Lake & Palmer and Tarkus deluxe editions at elp.merchnow.com where the albums will be bundled with a variety of ELP t-shirts perfect for any collector. Pre-orders are available now for the deluxe albums, vinyl re-presses and a selection of Emerson, Lake & Palmer t-shirts. 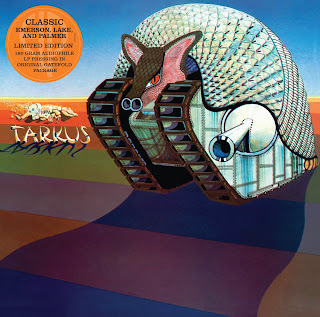 Emerson, Lake & Palmer and Tarkus will also be released on limited edition 180 gram audiophile vinyl. 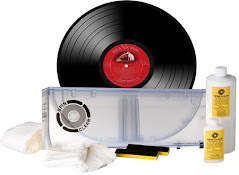 The records will be re-pressed and released with their original packaging and track listings. 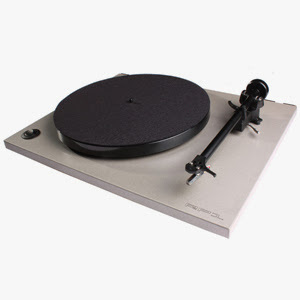 The vinyl re-presses will be available September 25th as well. Both albums will also be digitally, specifically mastered for iTunes by Grammy-award winning engineer Brad Blackwood (Alison Krauss & Union Station, Maroon 5, North Mississippi Allstars, Saving Abel). AXS TV will also exclusively premiere the Emerson, Lake & Palmer 40th Anniversary concert this August. The legendary Rock Band reunited to celebrate their 40th Anniversary and headlined London's first High Voltage Rock Festival. This was the historic moment when Emerson Lake and Palmer performed for the first time since 1998. This spectacular performance with extravagant special effects and lighting recaptured the magic and musical genius of Keith Emerson, Greg Lake and Carl Palmer as they performed their greatest hits in front of thousands of fans and leaving a lasting memory of the stunning musicianship of these three legendary performers. Razor & Tie’s full catalogue re-issue campaign will continue with the release of newly expanded, re-mastered, editions of four additional ELP classic albums: Pictures At An Art Exhibition (1971- Live Album), Trilogy (1972- Studio Album), Brain Salad Surgery (1973- Studio Album), and Welcome Back My Friends To The Show That Never Ends – Ladies & Gentlemen (1974- Live Album). Considered by many to be one of rock’s original first super-groups, Emerson Lake & Palmer formed in England in 1970 consisting of Keith Emerson (keyboards), Greg Lake (bass guitar, vocals, guitar) and Carl Palmer (drums, percussion). The band created a brand new world of music, combining classical and symphonic rock fused with beautiful vocals. 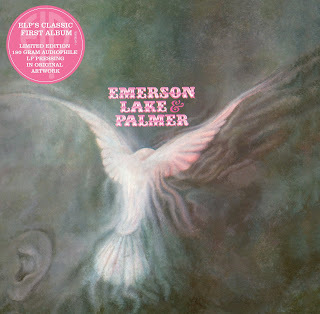 Their penchant for appropriating themes from classical music and the group’s more nuanced, textured approach to symphonic arrangements set ELP apart from their more bombastic guitar-based contemporaries of the time. This subtler and more sublime approach carries on today in the expansive atmospherics of Radiohead and Muse and also in the prog-influenced sphere of band’s like Porcupine Tree, Dream Theatre, Opeth and many others, making ELP one of the more relevant torchbearers of the progressive rock sound. Along with Yes, King Crimson, Genesis, and Rush, Emerson Lake and Palmer ushered in the Prog era and as one of the most commercially successful rock bands of the 1970’s having sold over 40 million albums. ELP’s dramatic flair, sincere passion, labyrinthine song structures, and symphony-worthy virtuosity proved that classical rockers could compete for arena-scale audiences as the band headlined stadium tours around the world. 7. Are You Ready Eddy? 14. Are You Ready Eddy? 29. Are You Ready Eddy? DEAR JERRY: What a surprise it was to find a Don Drysdale 45, and even with a picture sleeve. I knew immediately he was the same guy who was once a great pitcher for the Los Angeles Dodgers, but I never imagined him as a singer. The A-side, "Give Her Love" (Reprise R-20162), is a pretty good song, and I'm wondering if it became a hit, especially in the L.A. area. Was he in his baseball prime when he made this record? I saw a "Give Her Love" on eBay, but it is by the group Love Committee. Is it the same song as Don Drysdale's? Was the one he sang ever a hit by anyone else? Issued in 1963, "Give Her Love" may have gotten some spins in L.A. radio market because Drysdale was so well-known, but it did not make any of the local charts. I personally never heard it on the radio, and I lived there throughout 1963, and was even a Dodgers fan. 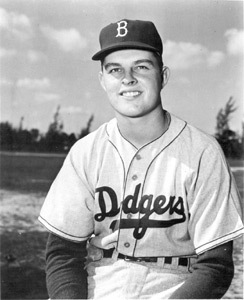 Of Don's 14 seasons in MLB, all with the Brooklyn/Los Angeles Dodgers, 1962 was one for the ages. He won 25 games and the Cy Young Award; pitched 314 innings in 41 games, had 232 strikeouts, and led the majors in all of these categories. Yeah, he was absolutely in his prime. The disco-oriented Love Committee's "Give Her Love" (1978) is an entirely different song. It's a pretty good tune, but another one that didn't chart. This committee is best remembered for "Heaven Only Knows" (1976). "Big D" was the second person to record this song. It was written in 1961 by James K. Harbert as "Give Him Love," and promptly recorded by Nancy Wilson (Capitol 4558). That too failed to chart. Another song, different but with the same title, came out in late 1970 by Patti Page (Mercury 73162), and it became a Top 40 Country hit. Interestingly, Frank Sinatra's Reprise label signed Drysdale to record "Give Her Love," then in 1966, Sinatra's own version of "Give Her Love" appeared on his million-selling album, "That's Life" (Reprise 1020). DEAR JERRY: I have what amounts to a scrapbook of hundreds of your columns, including one dated April 1, 1987. And this is no April Fool's joke. I saved this one because I am a big fan of Jerry Fuller's late 1950s and early '60s music, and he was one of your topics that week. Todd Mariano, of Youngstown, Ohio, wrote to ask if a CD collection of Fuller's tunes existed. You replied no, then added "When someone finally decides to release a Best of Jerry Fuller, here are what I feel are some must-have tracks: "Betty My Angel"; Tennessee Waltz; "Shy Away"; "Guilty of Loving You"; "First Love Never Dies"; "Hollywood Star"; "Double Life"; and "I Only Came to Dance with You." With these tunes, you are assured one great Jerry Fuller collection." In the 25 years since, has anyone taken your advice? —Marsha Mills, St. Paul, Minn.
DEAR MARSHA: Yes, but they didn't exactly jump right on it. You might also recall I spoke to Jerry (strangely, he was doing the same thing at the time) and he provided a contact at Sony Music, who I called and made my feelings known about the need for a Challenge anthology for Fuller. Not only did nothing come of that, but it took until 2008 for someone to get the message. For that, we have Ace Records, a UK label to thank — even though Jerry's recordings were not hits in Britain. Ace is one of several prolific European labels specializing in artists and songs seemingly ignored by the American companies. Still in print and available for around $20 is "A Double Life - The Challenge Recordings 1959-1966" (Ace 03502). It's nice to see that among the 24 tracks are all of those I deemed essential. IZ ZAT SO? Apart from his singing career, Jerry Fuller is credited with discovering, among others, Gary Puckett & the Union Gap, Mac Davis, the Knickerbockers, and Collin Raye. Rick Nelson: "Travelin' Man"; "A Wonder Like You"; "Young World"; "That's All She Wrote"; and "It's Up to You." Gary Puckett and the Union Gap: "Young Girl"; "Lady Willpower"; and "Over You." Al Wilson: "Show and Tell" and "Touch and Go." Jerry Osborne answers as many questions as possible through this column. Write Jerry at: Box 255, Port Townsend, WA 98368 E-mail: jpo@olympus.net Visit his Web site: www.jerryosborne.com.